We serve all of Philadelphia, as well as the outlying suburbs. 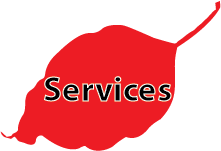 We also service Southern new jersey and northern Delaware. We cover Philadelphia Caounty, Montgomery County, Bucks County, and Delaware County in Pennsylvania. The best way to reach us for all yuor lawncare, tree removal, and yard cleanup needs is to email us. Please use the form at the right of this page. If you would prefer to call, you can use the number above. Because we are frequently on the road performing tree removal, landscaping services and other services for your lawn and garden, we are not always available to answer cals. Please leave a message, or send an email. CONTACT CRABBY TREE MAN FOR YOUR FREE ESTIMATE TODAY. WE OFFER LAWN CARE, TREE REMOVAL, TREE PRUNING AND SO MUCH MORE!